Judge Orders Bank Of America To Pay $1.3 Billion Fine : The Two-Way A jury had found the bank liable for fraud related to mortgages sold by its Countrywide Financial unit last October. Bank of America may appeal. U.S. Attorney Preet Bharara applauded a judge's ruling in a major fraud case. A federal judge has ordered Bank of America to pay a $1.27 billion fine for fraud perpetrated by Countrywide Financial Corp., a mortgage company the bank acquired in 2008. Last October, a jury held Bank of America liable for bad loans Countrywide sold to Fannie Mae and Freddie Mac as part of its "Hustle" mortgage-lending program as the housing market soured in 2007 and 2008. In his ruling Wednesday, Federal District Judge Jed Rakoff did not mince words. "It was from start to finish the vehicle for a brazen fraud by the defendants, driven by a hunger for profits and oblivious to the harms thereby visited, not just on the immediate victims but also on the financial system as a whole," Rakoff wrote. He based his penalty on 17,611 Hustle-related loans, for which Fannie Mae and Freddie Mac paid nearly $3 billion. The damages reflected a finding that while some of the loans were defective, they weren't all bad. The government had sought penalties of $2.1 billion. 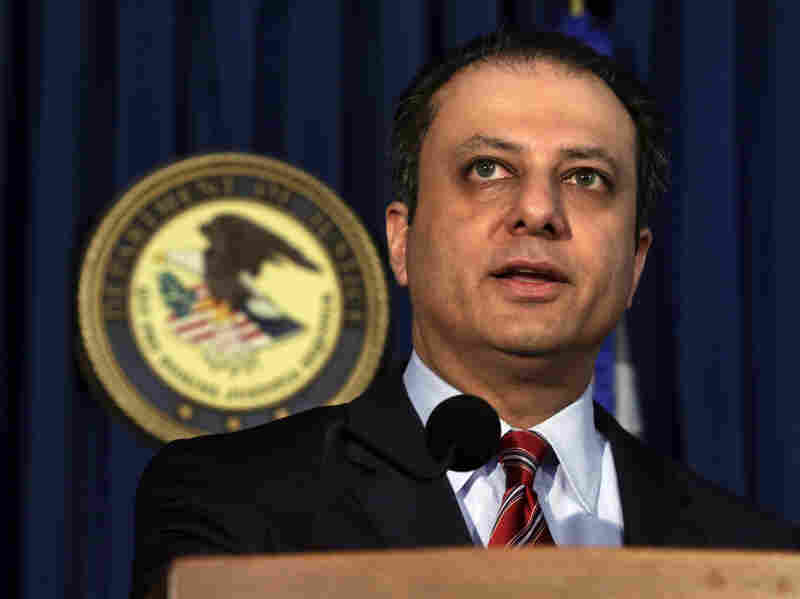 "Today, Judge Rakoff imposed stiff penalties in a case brought by this Office to punish and deter the fraudulent and reckless lending activities of a financial institution leading up to the financial crisis in 2008," Preet Bharara, the U.S. attorney for Manhattan, said in a statement. Bank of America said it would review its options. "We believe that this figure simply bears no relation to a limited Countrywide program that lasted several months and ended before Bank of America's acquisition of the company," Bank of America spokesman Lawrence Grayson said, according to the Charlotte Observer. Rakoff also fined Rebecca Mairone, a former top Countrywide manager, $1 million. The jury had found her guilty on one count of fraud. Rakoff said she could pay the fine in installments. Separately, Bank of America is coming close to settling with the Justice Department to resolve issues with its sale of mortgage-backed bonds, Bloomberg News reports. The amount under discussion ranges from $13 billion to $17 billion, and negotiations are ongoing as to what the split should be between fines and consumer relief.